Hope everyone in WolfPack has been having a great summer break. Hey Guys, if you are 18++++ and love squad play, Preferably live in Australia or NZ come and say hi or join us on our Website! If you're looking for good team/squad play, a friendly environment and some laughs Wolfpack is the place to be. 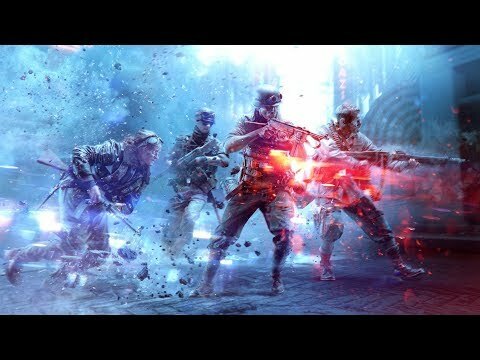 We are an Australian/New Zealand based BFV Division on Australian BFV Servers. WolfPack is a well established gaming community and prides itself on having a strong and active community where everyone can excel. WolfPack is currently looking for more players to join. If you are interested, feel free to visit our forums to to put in an application. What we ask of you is that you are over 18 years old, speak reasonable English, have a headset and TeamSpeak 3 installed. I joined the clan after a friend recommended last year and played Battlefield 1. Great bunch of people and despite some serious hate for current bugs in the BFV game, its worth playing with clan members or I say friends on random Aussie servers. Winning and loosing is taken part of game with have great fun moments after a tiring day at office. Come have fun with us as with no obligations with a group of great people! If you do register, you will unlock all the forums for Wolfpack, and for exclusive members only access, gain valuable comradeship, insights to Game play, tips & Tricks, Videos and a huge Network of support! see Foxhounds epic fan video! connect to our teamspeak if interested - about 7:30 pm on Friday night Sydney time! We are currently vamping up BFV. 66.151.138.13:39050 Jump on 30 mins early so we can have a chat and give you guest permission to join in on the meetings!